This article, written by collector Anita Reiner’s daughter, Renee Reiner, was first published by Christie’s in May 2014 and is reposted here in three parts in conjunction with the exhibition A Tribute To Anita Reiner, on view at the Phillips through Jan. 4, 2015. Read Part 1 here and Part 2 here. We welcome others to share their own anecdotes about this legendary collector or contribute comments about the installation honoring her. In 1971, we moved to a new house, built by our dad. It was designed with Anita’s passion in mind, allowing her to showcase her growing collection: It featured white walls, high ceilings, bright light. With this new space, Anita was off to the galleries at an ever-increasing pace. As her skill and knowledge developed, she became even more focused. The contemporary art world drew her in; there was a deep respect growing between her and her gallery-owner colleagues. Relationships with Leo Castelli, Ivan Karp, Anina Nosei, Arnie Glimcher, Jack Shainman, Mary Boone and others became long-lasting friendships. With her passion came a vibrancy and sense of purpose. Our mom was never more alive and engaged than when a new piece of art was delivered to the house. In truth, her drive had more than an intensity to it; Mom had a fun-loving, impish side as well. Collecting art for her became integral to her sense of self and she had a lot of fun pursuing this passion. 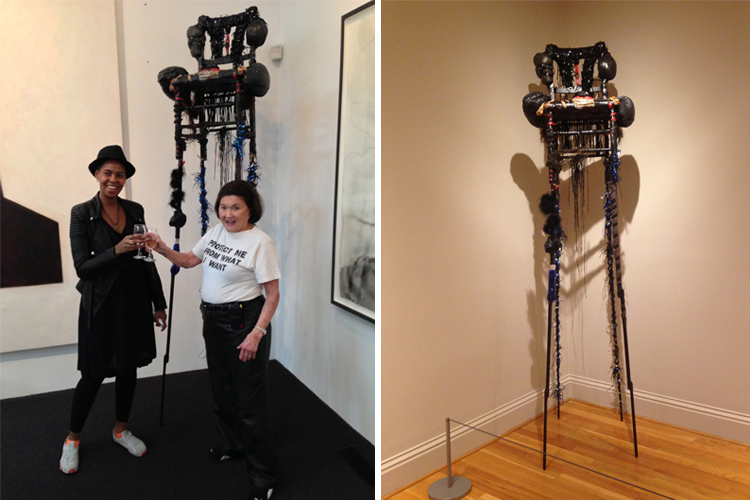 Her life philosophy, according to friend Wendy, was summed up in the words on two of her favorite t-shirts: “I am a conceptual work of art.” and “I am not boring!” She was, says Wendy, truly one of a kind. We, her family, came to respect mom’s keen eye and visual acuity. Professionals in the art world respected this as well, seeking out her thoughts and her opinions. She was immersed in art and artists, primarily in New York, but also in other cities in the US and around the world. She and dad were regulars at the Basel Art Fair in Switzerland, the Venice Biennale, Documenta and Miami Basel. They loved to explore new places and Anita would always seek out the edgy, controversial, or revolutionary artists of the places they visited, whether it was in China, India, Burma, Fiji, Brazil, Argentina, Chile, Peru, Germany, Switzerland, Czechoslovakia, London, or France. No matter the location, she would walk into a gallery exhibit, see a dozen pieces of art, and, within a minute or two, would gravitate to the most compelling piece in the show and say, “put it on reserve.” Then she’d sleep on it. If the piece was still with her in the morning, she knew she had to buy it. She rarely had regrets over her spontaneity; however, she was on occasion sorry when she left a piece behind. Around 2000, Anita had our dad build a new room on the house: she needed more space for her growing collection. Always thinking about art, but not necessarily offering all pertinent information up front, Mom had purchased a set of oversized Jorgé Pardo doors (her friend Steve Shane remarked that they looked like sperm). The opening to this new room needed to be designed and built to accommodate them. We wondered at the time if Dad knew she’d been counting on a new room all along. Anita rarely sold pieces from her collection. If she fell out of love with a work, it was because her taste was growing and shifting, or because she needed space for something new. She always had her finger directly on the pulse of what was good, valuable, important. It was obvious that her family members were not the only ones impressed with her skill and vast knowledge; plenty of folks in the contemporary art world in the US and abroad enjoyed her expertise and her company and she had long lasting friendships with fellow art aficionados from around the world. 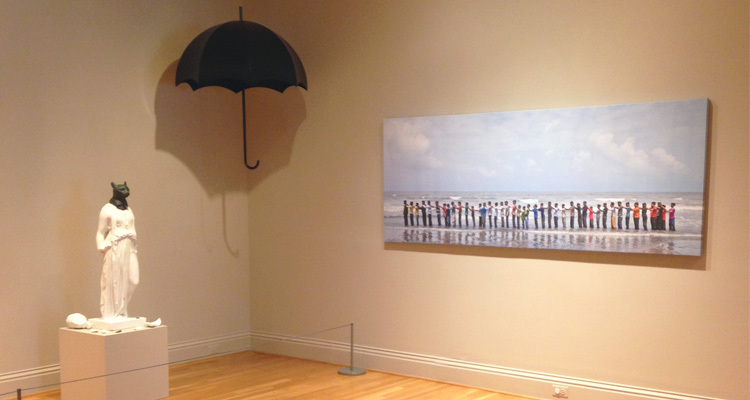 This article, written by collector Anita Reiner’s daughter, Renee Reiner, was first published by Christie’s in May 2014 and is reposted here in three parts in conjunction with the exhibition A Tribute To Anita Reiner, on view at the Phillips through Jan. 4, 2015. We welcome others to share their own anecdotes about this legendary collector or contribute comments about the installation honoring her. Though small in stature, Anita was bigger than life. All who knew her were in awe of her seemingly boundless energy and big heart. Anita was insatiable in her desire to learn and to take advantage of all that life had to offer. She traveled the world in search of adventure and inevitably found it, if it didn’t find her first. These words, from her dear friend Wendy Grossman, describe my mom perfectly. Anita started traveling to New York galleries when I, the youngest of her four children, was quite small: once a month on Saturday mornings she and my dad were in the car or on the shuttle, traveling to New York. As Dad drove, she poured through the Gallery Guide, writing down the names of galleries they would visit in Soho and uptown. She was known for maintaining her lists on index cards. Upon arrival, the two of them hit the ground running, allotting no more than 30 minutes per gallery. When I was deemed old enough to participate in these adventures (at about 6), I was occasionally invited to go along. I would have my fill after three galleries, but Mom would be going strong as we perused 10 or 12 more. Her energy was boundless. Anita was not only becoming a collector in those early days; also during this time—the late 1960s—Mom finished her bachelor’s degree and then continued on to complete her Master’s in Art History. Afterward she taught Art History at both Catholic and George Mason Universities. I was a teen by then, and sat in on some of her classes: a projector flashed slides and Anita shared details on the masters from centuries past. I thought her knowledge extraordinary. However, her ability to share information may have been hampered because she always spoke so quickly! I was glad that I was not a student having to pass her exam. There was a clear crossover between these academic pursuits and the world she was absorbing at the New York galleries. Anita began collecting after her father died and left her $10,000. This was just enough for Anita to become a nascent art collector, and was likely why she sought out less established artists—they were in her price range. But these emerging artists, we all later came to understand, offered Anita something more—she was intrigued by, and supportive of, works that were considered avant garde, risky, or controversial. This fall, the Phillips is host to a tribute exhibition in memory of Anita Reiner, one of DC’s most active art collectors. The installation includes works by renowned contemporary artists such as Anselm Kiefer, Wangechi Mutu, Robert Mapplethorpe, El Anatsui, Shilpa Gupta, and Shirin Neshat, among others. 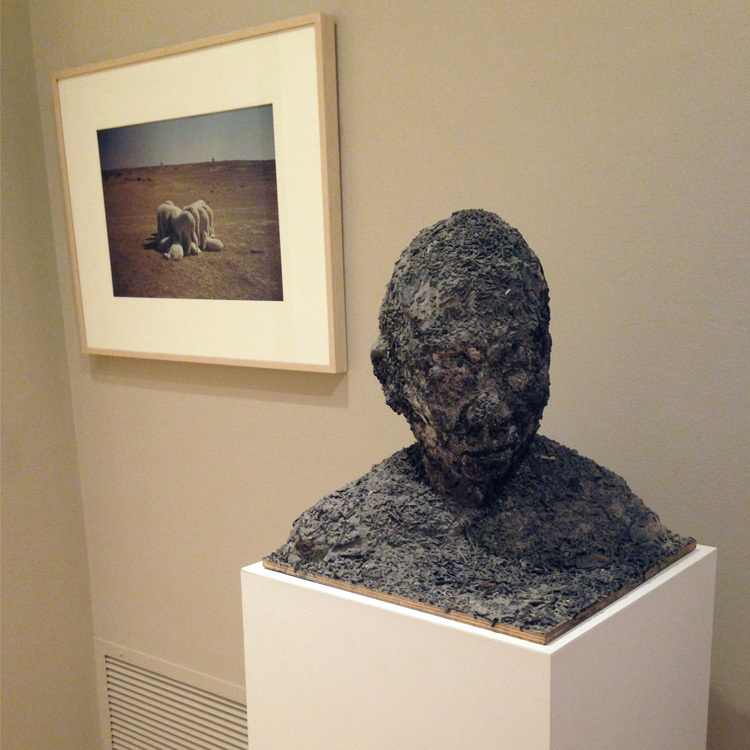 Installation view of Gabriel Orozco’s Common Dream (Sheep) (1996) and Zhang Huan’s Ash Head No. 24 (2007). 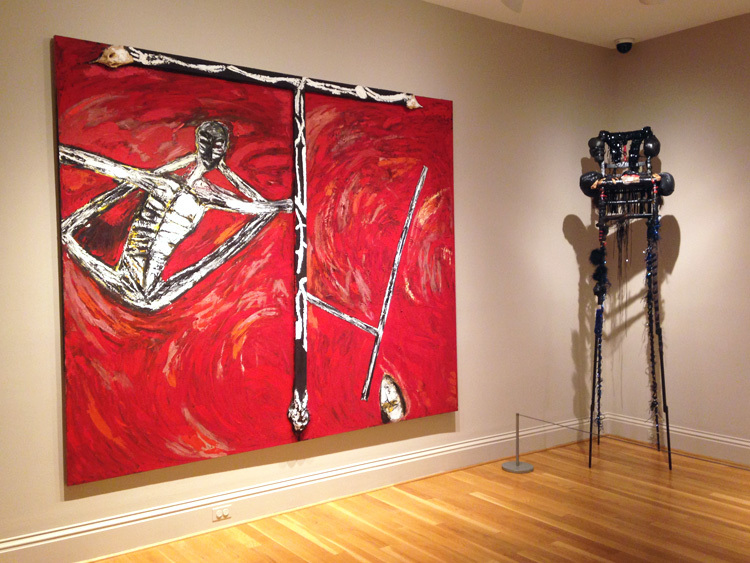 Installation view of Mimmo Paladino’s Vento del mattino (1981) and Wangechi Mutu’s Blackthrone XII (2012).